Our methodology incorporates a 4-phase process providing a cyclical, strategic framework that is flexible and scalable. We rely on this proven process to consistently deliver superior web applications at superior speeds. We divide projects into small manageable and deliverable phases. These deliverable also serve as critical milestones, enabling users and our project teams to gauge the progress and quality of the work being performed. This process helps generate various deliverable during the project life cycle that is listed in each phase. This approach is essential to deliver superior applications that optimally meet the client's business requirements. Analyzing a project is the first and most essential phase in a project development. A dedicated analysis team needs to be there to accomplish this task. The analysis team indulges itself in an in-depth evaluation and breakdown of the entire requirement covering all the aspects such as functional aspect, business aspect and technical aspect. This involves regular communication with the client and clarification of every minute point. Close and systematic study of the requirement enables the team to anticipate the time frame required to complete the task and decide for the type of resource(s) required. This breakdown places an idea before the client, a documented draft of what will be the shape & feasibility of his/her project. Along with this, it structures the requirement to the ease of the development team to build it up. Once project objectives are agreed upon, the Functional, Technical, and Creative requirements are defined. We formulate an architectural and navigational blueprint for your site, ensuring your customers a quality and memorable experience. Detailed Test Plans and Control Processes are created to ensure highest levels of quality. While doing the documentation (writing a Functional Specification), much of the time will be spent imagining how a user might use a certain feature and how they may navigate their way through the information. Not only is the need to map this world out visually, but also to write out in great detail what this world does; all the while, balancing everything within the current technological limitations and business demands. The functional spec writer's sole concern is fusing the user-experience with the various Business and Technical logic of the project. In this capacity we work to create solid foundations for building the digital dimension of a business. In this phase, information is collected, researched and analyzed. We listen to what you say and take your unique requirements into account. The end product of all this is a guided, pre-planned and strategic course of action. Here we define the Functional, Technical and Creative requirements to achieve the project objectives. Our project team works with you to identify your business objectives while considering the practical parameters of time and budget. In Designing phase, User Interface, Database and Navigation Components are designed. The project starts taking form in colors, shapes, sizes, and other visual and textual elements that bridge the parts of the project developed in the consultation and planning phases. From here on, your application acquires a look and feel of its own. Extremely easy to navigate even for the not so savvy users. Never use any image which is not required. Works on All browsers and resolutions. Website templates as well as bespoke design outcomes. From few to some hundred pages based websites! Website redesign – for an existing website you want to improve upon or update. Custom web design services – ecommerce web design, Flash intros, banner ads and more. 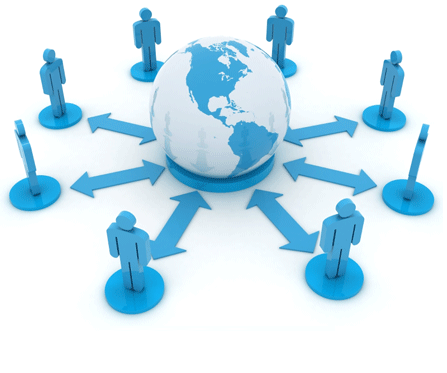 In the development stage, the client's e-business solution is constructed and preliminarily tested. This process consists of a series of planned iterations during which the system blueprint is programmed and refined. During production, we perform an extensive quality control process to ensure that every part of the site works as it should. In addition, we test the work on multiple platforms using different Web browsers, resolutions and color depths ensuring that the final product is accessible to the widest range of Internet users. Any inconsistencies or errors are identified and corrected during this phase. All of our business-centric applications are delivered via the Web. When appropriate for the client and website, we develop in AJAX and integrate collaborative features such as tagging, wikis, comments and blogs. Perform better on organic search results pages in Google and other search engines. Display and behave correctly on all modern browsers and platforms. Easier to maintain and adapt to new interfaces. The primary intent of our quality system is to ensure the delivery of the required quality of product or service. In order to achieve this, our quality process makes use of the results of Verification, Validation, Joint reviews and Audit processes. At Jasapp, Software Quality Dept. carries out the review of software products and related documentation for completeness, correctness, reliability and maintainability. It also includes the assurance that the system meets specifications and requirements for its intended use and performance. Reporting quality problems, escalating them to appropriate levels of management and controlling further distribution of non-conforming product until the problem is corrected. Following up corrective actions to rectify process defects. Documented procedures for review and authorized release of documents and product. Defect detection, Correction and subsequent re-test following rework including configuration control. Documented procedure for a supporting process whose purpose is to identify, define, and baseline items; control changes and releases of these items; report and record status of the items and change requests; ensure completeness, consistency and correctness of the items. Policies and procedures for conducting internal audits. Joint reviews with the customer of project, technical progress and deliverable. 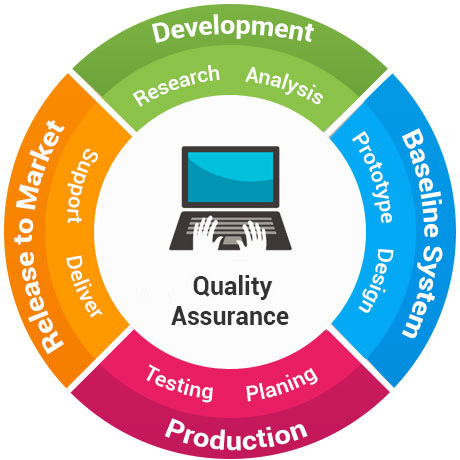 Quality Department tests the software using both verification & validation techniques to ensure that the Software and Documentation are complete and working properly before supplying to the customer. When it is time to initiate delivery, Jasapp implements the system and places it through a final test to ensure that the developed solution meets the requirements of the client that were identified in the strategy stage. Further, we can transition the ongoing operation, maintenance and support of the solution to the client. Upon delivery, we will make sure you understand how to manage the site and offer you the option of a simple, easy-to-use maintenance package. We customize our maintenance process to meet each client's particular needs and support each of our service lines, which span the strategic, technical and project management disciplines. We analyze feedback and, if applicable, refine the solution as our client's situation changes. Our goal is total satisfaction for our clients.